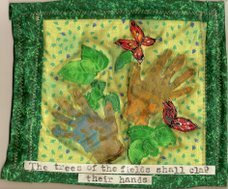 My Birds Quiltie is another September entry. 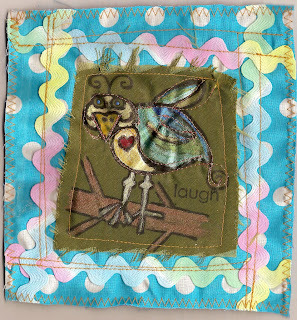 We've been all a twitter in the Fabric In Altered Art group about "doodle birds", so no surprise, I had to do a doodle bird. I drew the bird on muslin, painted it with Lumiere and sprayed the background with Adirondack Color Wash. All this talk about birds has made them show up in my work a lot lately!